Strega is the Italian word for "witch". Find out how to make me! PAMA pomegranate liqueur is the most popular pomegranate flavoured liqueur available worldwide. Sumo is Japan`s national sport, although baseball is also very popular. The tallest skyscraper in the world is the Burj Khalifa in Dubai, which is 828 metres high. Miss Saigon is the 11th longest Broadway musical. Polar bears can swim up to 100 miles. In China, the peach is a symbol of longevity and good luck. 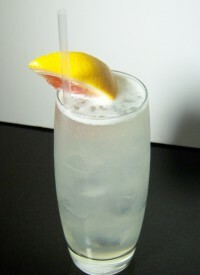 The Paloma is the most popular tequila based cocktail in Mexico. Bourbon whiskey can only be named so if it is produced in the United States. Navel oranges are named that because of the belly-button formation opposite the stem end. Michigan has the longest freshwater shoreline in the world. 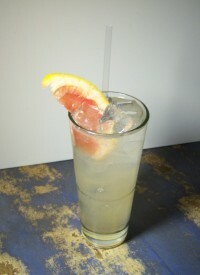 Another variation of the Long Island Iced Tea, in this version tequila is replaced with peach schnapps and cranberry juice is added. Also, the cola is replaced with lemon-lime soda. May Day marks the seasonal transition from Winter to Summer. Melons began to appear in Europe towards the end of the Roman Empire. Robert Branaman coined the phrase "Lounge Lizard" in the 1950s to describe people who spent an excessive amount of time going from bar to bar. Lindsey Lohan started her career as a child model at the age of 3. Lynchburg , Tennesse, is best known as the location of the Jack Daniels distillery. The Madras is a cousin of the Cape Codder, Sea Breeze and the Bay Breeze. 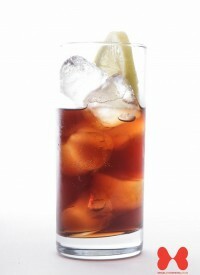 This drink is a variation of the Long Island Iced Tea where cola is substitued with cranberry juice. Long Island Iced Tea was first served in the mid 1970s by Robert Butts, a bartender at the "Oak Beach Inn", New York. Lemon trees bloom and produce fruit all year round. A free translation of the word Jagermeister is "gamekeeper". Harvard University was named after its first benefactor, John Harvard. You Bring The Party. We Bring The Cocktails.